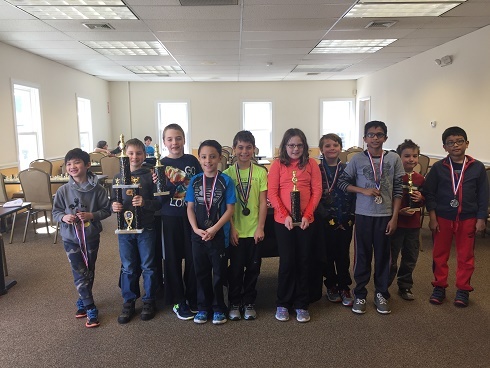 Twenty four eager players woke up early on a Sunday morning to compete in our monthly K-12 Scholastic Championship. In our K-2 section, we had seven players who demonstrated tremendous sportsmanship and excitement for the game. 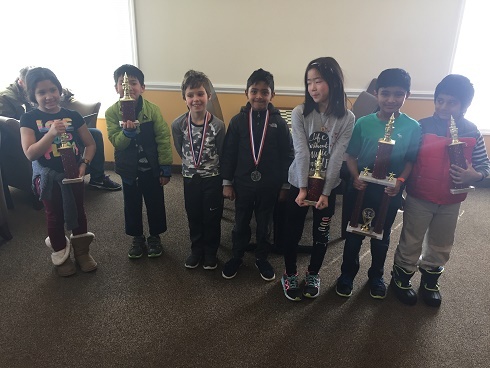 Sahil Vora played a perfect tournament, winning all four of his games and coming out in first place. Sarvesh Neelavalli and Jasmine Theisen both won three of their four games, placing them in second and third places, respectively. Finally, in the face of tough competition, Brian Yee and Leah Zheng reached fourth and fifth place by winning two of the games. Our K-5 section was our largest section, with eleven players. Winning all of his matches, Mikhail Belokin clinched first place. Seraphina Mlynar and Mateusz Zalewski both won three of their games. They were in second and third places, respectively. Jackson Gerardi and Jacob Green ended up in fourth and fifth place, both winning two of their four games. Finally, we hosted six fierce competitors in our K-12 section. Aurelius Mlynar played flawlessly, coming in first and winning all his three matches. Lia Lavin clinch second place with two out of a possible three point. 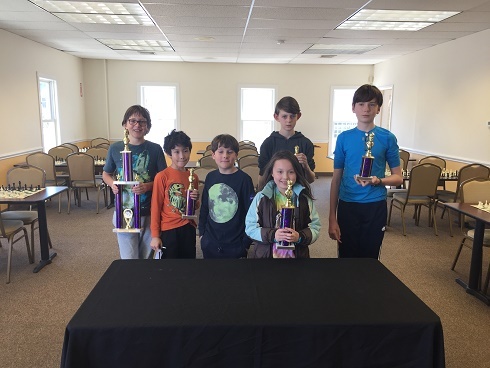 Our third, fourth, and fifth place winners -- Max Ingargiola, Christopher May, and Liam May -- all won one game. We would like to congratulate the winners and thank all participants for their grace and sportsmanship. We hope to see you all again soon!